Hello, I hoping somebody can help me. I am still having smart app pauses, I have tried everything to get it to stop. 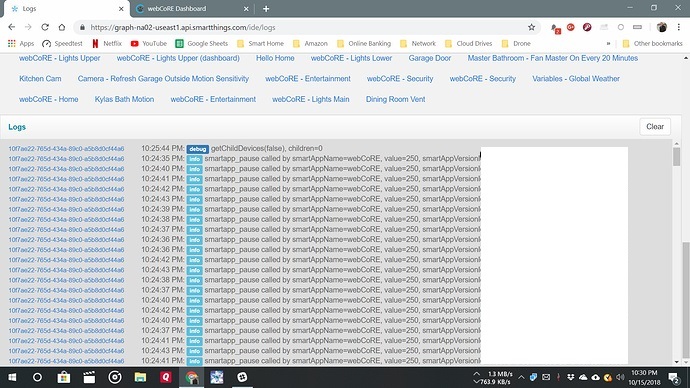 I split my entier webcore up into 6 instances with less than 40 devices on each and still having issues as you can see from the screen shot below. Now I have 3 or 4 instances doing this. Here is my question, what is this really affecting, and is it better to have it all in one or broken up like I have it? Any help is greatly appreciated. 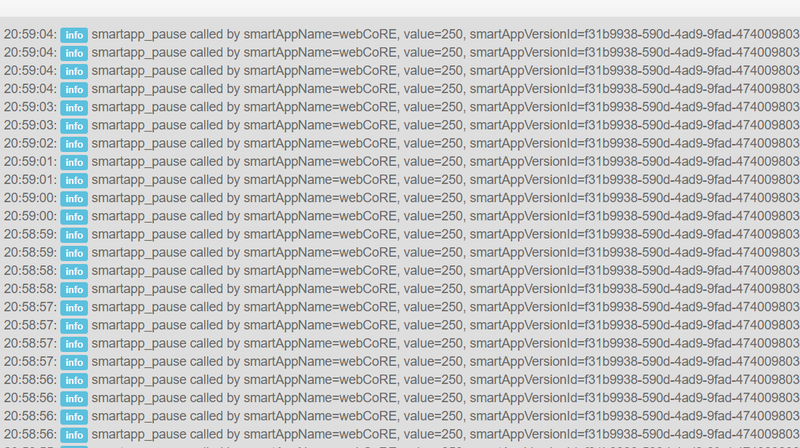 @webCoRE_Minions anybody have any ideas on this, has been going on for over a month now. Need to know if this is really causing issues, and if it is better to have 1 instance doing this versus 3 or 4. Same here… no idea what it means??? lol, at least I am not alone. I was hoping by reducing the amount of devices in an instance would help, but it seems to have done nothing. I guess my question is, is it better to have 1 instance doing this for 4? I see those also but I don’t see any obvious effect to my pistons. I should add that I’m seeing it on a clean install with only a single instance containing two pistons. Mind is a bit fuzzy here, but didn’t these messages first appear when Adrian implemented builtin recovery capability (and the one you can schedule to run periodically in the webCoRE app settings) in webCoRE?